Its not everyday you see a low price smartphone with a large battery from Chinese OEMs, which is why the Homtom HT50 is one of a kind. The smartphone has a decent spec sheet with features like 4G LTE, fingerprint scanner and so on. There is no issue like your phone having a poor battery life any longer because the Homtom HT50 comes with a huge 5500mAh which is sure to keep your phone on all day. 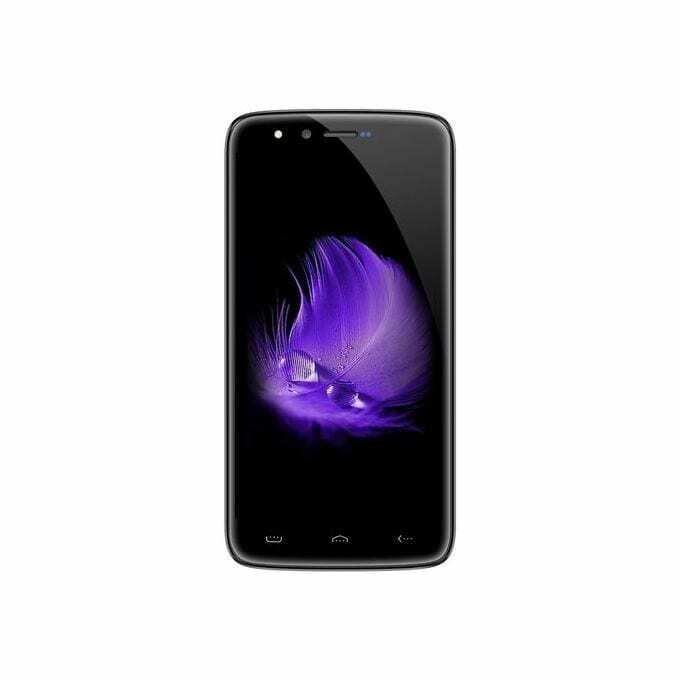 The Homtom HT50 has a simple design which somehow stands out with well rounded edges and well built compact body. The speaker grill at the rear bottom gives the phone a nice look alongside the camera and LED flash place at the top left corner all contributes to the smartphone’s nice aesthetics. Although the smartphone is made of plastic the quality is nice and can be felt when handled despite the fact that a metallic casing would have been a more premium option. The 5.5-inches screen boasts of an HD (1280 x 720) pixel resolution IPS LCD display which is standard for a budget device in this price category considering the device cheap price. This display has a nice viewing angle and a decent visibility in full light. Running things on the inside is a MediaTek’s MT6737 Quad-core processor that clocks at a maximum of 1.25GHz which is enough to handle simple tasks without glitches. However, some slight delay might be noticed when opening some apps especially the ones with large size. In addition, there is a 2 core ARM Mali-T720 GPU handling graphic related issues like your gaming and other display functions. The Homtom HT50 has an internal memory of 3GB and a built-in storage of 32GB that can be extended to 64GB using a MicroSD card. This is enough for handling daily app multi-tasking without any problem and the storage space more than capable of holding your various files, music, videos and so on. Also, the Homtom HT50 comes with the recent Android 7.0 Nougat OS which is pretty much what most phones this year have. The Homtom HT50 comes with a decent camera for taking pictures both on the rear and selfie department. On the back side there is a 13MP sensor with LED flash for taking good looking pictures for a budget device. The selfie camera also has a 13MP sensor which is more than what you usually have in smartphones of similar price. The battery capacity is one of the major selling point of the Homtom HT50 has it packs a large 5500mAh juice which is more than what you can say for other budget smartphones. To crown it all, the smartphone has the fast charge technology which means you get a full battery after little time of charging. You can get the Homtom HT50 in various outlets online and some retail outlets in Nigeria for about 35 000 Naira to 45, 000 Naira depending on your shopping prowess and your location.